Central website for the Mile-a-minute project in the Hudson Valley area of New York State. 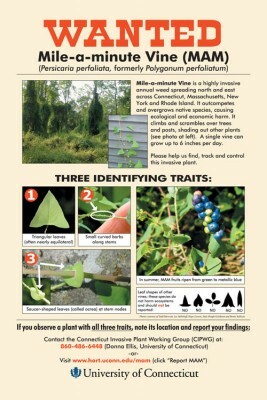 Site includes brochures, PowerPoint presentations about the species and biological control information. 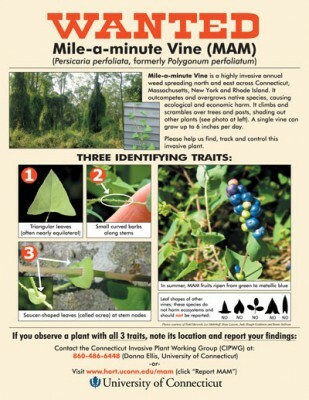 Great source of information and photos for many invasive species including MAM.